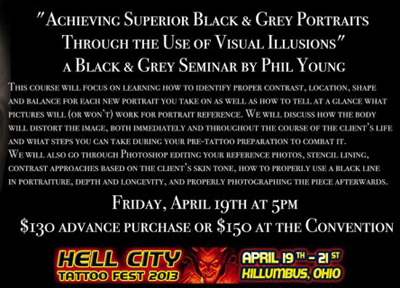 With spring well on the way, I will be at the Hell City Colombus Ohio tattoo convention, April 19-21. I have a very information filled seminar, and also painting in the "Wet Paint Project." Come check it out, and sign up for the seminar before seats run out! Hope to see you there!